FLORENCE COUNTY, SC (WMBF) – The Florence County Council is taking the first step to building a parking garage in downtown Florence. Council members passed the first reading of an ordinance during Thursday’s county council meeting. It introduced a bond ordinance for up to $15 million. County officials expect the four-level deck to cost around $12 million. Florence County Administrator Rusty Smith said the bond will be refinanced and $4 million or $5 million dollars will come from the Florence County penny sales tax. The refinancing will save $700,000 of debt as well. Smith said there will be no millage or tax increase for Florence County taxpayers. 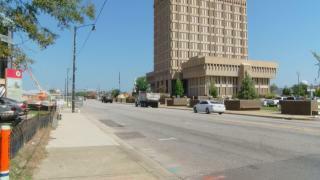 No official design of the parking deck has been released yet, but it is expected to be built behind the county complex building. Chastity Barnes lives in Florence and visits the county complex building to pay her taxes. “It’s very congested, especially with all the entertainment activities they are trying to bring, which is great but you can’t find parking spots for them. 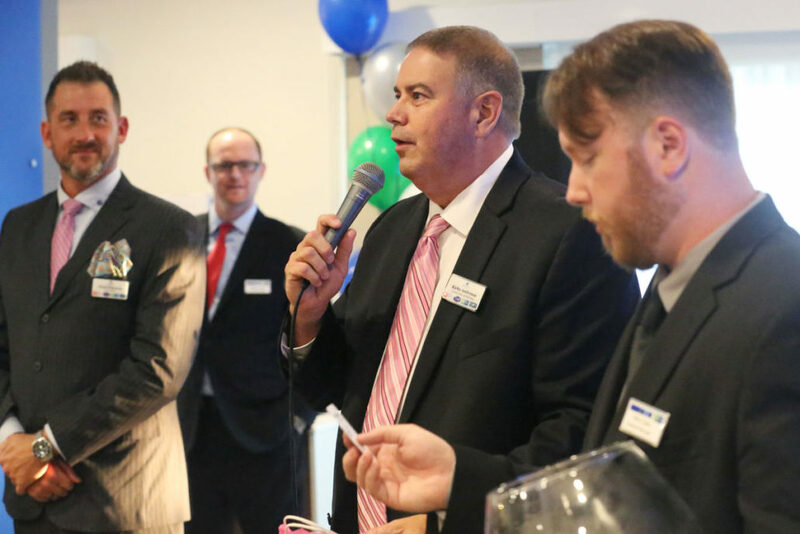 The Holiday Inn Express & Suites at 3440 W. Radio Drive hosted Business After Hours to reveal new renovations to the Florence business community on Thursday, Sept. 21, 2017. The event was sponsored by the Greater Florence Chamber of Commerce. 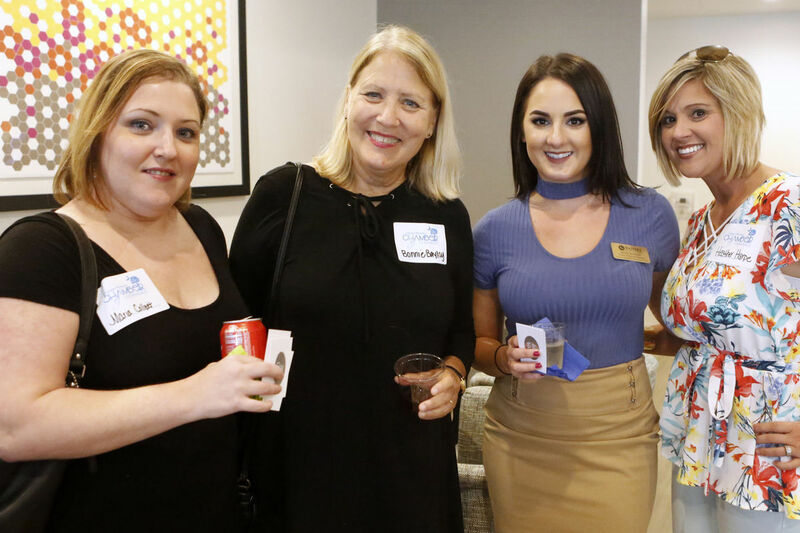 Plenty of food and drinks were provided to the guests who were able to network among business leaders, chamber ambassadors and Holiday Inn employees. Members of the 2018 Fellows in Education program include (from left) Gary Malaer, Tim Geddings, Mike Miller, Heather Greenberg, Tom Pietila, Charlie Blake, Ken Jackson, Terry Dingle, Elaine Sealey, Mark Buyck, III, Debbie Hyler, Carlos Washington, Ron Roberts, Don Kausler Jr., Annie Brown, Lauren Stanton, Jamie Carsten, Carolyn Pearce, Eric Bingaman, Kaye Parris, Tressa Gardner, Brenda Harrison, Charlene Lowery, Jarrod Tippins, Ken Baker and Irby Wilson. FLORENCE, S.C. – Through a three-way partnership of Florence School District One, the Greater Florence Chamber of Commerce and The School Foundation, a program designed for business and community leaders to spend time getting a behind-the-scenes look into schools in Florence One continues in its third year. The program, known as the Fellows in Education Program, began on Sept. 19 with an orientation for its members. During the duration of the program, there are plans for business and community leaders to see firsthand some of the successes and daily challenges educators face in the classroom. Within this program, there also will be an opportunity for interested participants to take part in a “Principal for a Day” exercise in which the local leader will spend a portion of the day with a school principal as he or she conducts the duties of running the school. Florence One Superintendent Randy Bridges expressed his views about the program. Organizers of the program say the ultimate goal of Fellows in Education is to create a cadre of local leaders who will be able to collaborate with policymakers and community members in developing better education policies in the local community. The first of eight sessions will begin on Oct. 3 with a visit to Lucy T. Davis Elementary, and sessions will be held thereafter on the first Tuesday of each month through the month of May at different Florence One schools. For this third class of Fellows in Education, members of the three-way partnership have again sought after a select group of more than 20 community and business leaders who they believe are civic-minded supporters of the need for expansion of local educational resources. FLORENCE, S.C. – The mind is not a vessel to be filled but a fire to be kindled, and eXplore is trying to do just that. eXplore, a nonprofit organization formerly called the Children’s Museum of the Pee Dee, is on a mission to bring a permanent children’s museum to downtown Florence. 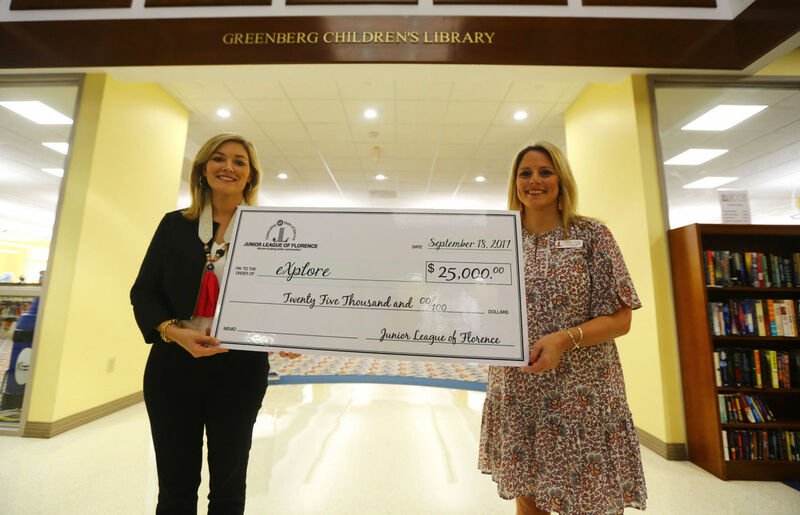 On Monday, the Junior League of Florence presented the group with a $25,000 check to go toward making that dream a reality. The money will go to the group in increments of $5,000 for the next five years. “We’re happy to continue our support of the children’s museum, and we’re proud of our partnership with them and the work they do,” said Lauren Vause, president of the Junior League of Florence. This fall eXplore will offer a museum-quality exhibit at the Florence library inside the children’s section. The group has rented a traveling exhibit from the Imaginarium Company, titled The Secrets of Bees, as a result of the donation. Caroline Genoble, president of eXplore, said donations like this help the organization bring family-friendly, educational exhibits to Florence and help with the long-term goal of opening a permanent facility. The Secrets of Bees exhibit will be displayed in the Greenberg Children’s Library at the Drs. Bruce & Lee Foundation Library from Oct. 11 through Dec. 16. The exhibit will open to the public on Wednesday, Oct. 11, during general library hours, and it will be free to the public. In addition to The Secrets of Bees, the library will host storybook reading sessions, special guest visits, interactive art projects, evening tours and more in celebration of the exhibit. eXplore is a non-profit 501(c)(3) organization that was chartered in 2009. For more information, visit childrensmuseumofthepeedee.org. The 2017-2018 Fellows In Education program kicked off a new year on Tuesday, September 19th. 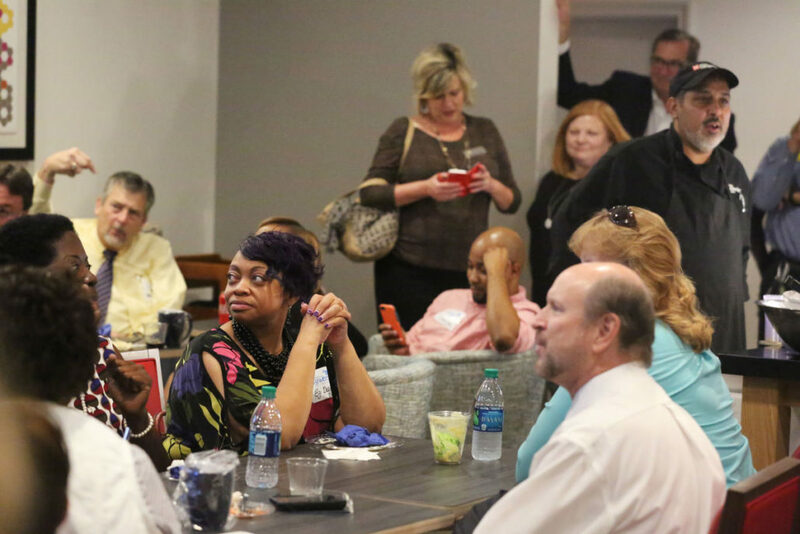 The Fellows program is a joint effort of The Greater Florence Chamber, The School Foundation and Florence School District One and is designed to give local leaders a unique, behind-the-scenes look into today’s classroom. Over the course of eight months, leaders will gain insight into today school highlights and the daily struggles educators face in the classroom. These leaders will hear about the seismic shifts in student needs and the additional state and federal requirements now placed on schools, teachers and administrators in Florence District One. We salute each of the 24 participants for taking the time from their busy schedules to share in today’s educational environment. 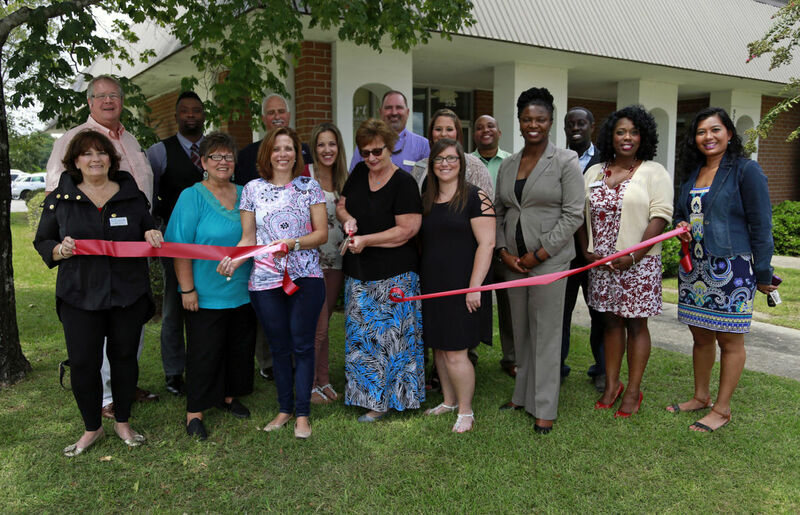 FLORENCE, S.C. – Stewart Behavioral Health employees joined Greater Florence Chamber of Commerce ambassadors for a ribbon cutting Thursday afternoon to celebrate the facility’s new chamber membership. Located at 525 S. Dargan Street in Florence, Stewart Behavioral Health is a counseling office that provides a variety of services including crisis intervention, family counseling, couples therapy, marital counseling, and stress management. The facility sees an average of 25 clients each week ranging in ages from early childhood to adult. Martha Stewart, counselor and owner of Stewart Behavioral Health, she said was inspired to start her own private psychology practice after working with children from the Connie Maxwell Children’s Home in 2013. Since then, Stewart dedicated herself to working in counseling services and earned her master’s degree in psychology from Francis Marion University in 2007. Along with her other full-time and part-time counselors, Stewart moved into her own facility in June of last year and recently joined the Greater Florence Chamber of Commerce. 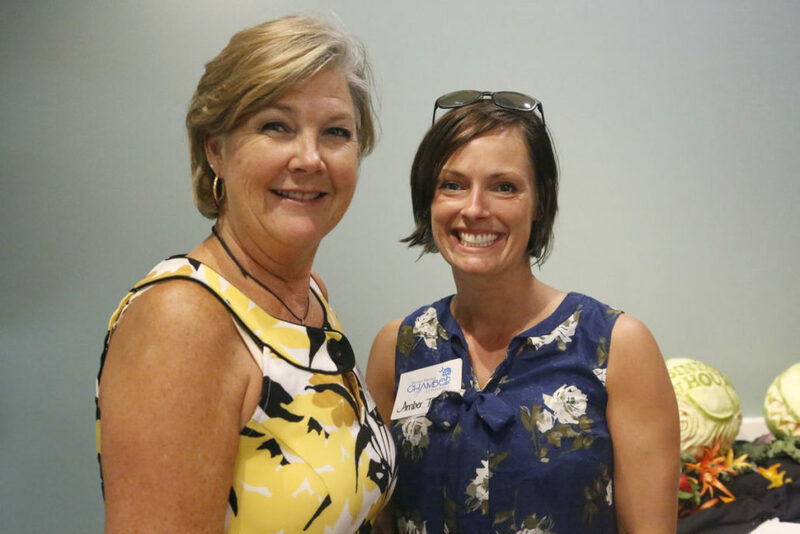 Stewart said she didn’t expect the large welcome from the chamber ambassadors on Thursday afternoon but was pleasantly surprised by the ribbon cutting and said she looks forward to being a part of the chamber moving forward. FLORENCE, S.C. – Ambassadors with the Greater Florence Chamber of Commerce held a ribbon cutting Thursday morning for Mariner Finance and its employees to welcome them as members of the chamber. Mariner Finance, formerly known as Pioneer Credit in Dillon, relocated to Florence at 2503 S. Cashua Drive in February. Mariner Finance offers customers a variety of personal, home and auto loans. Tony Elvington, area vice president of Mariner Finance, said moving to Florence gives the company exposure to a larger, growing market and the business move just made sense. 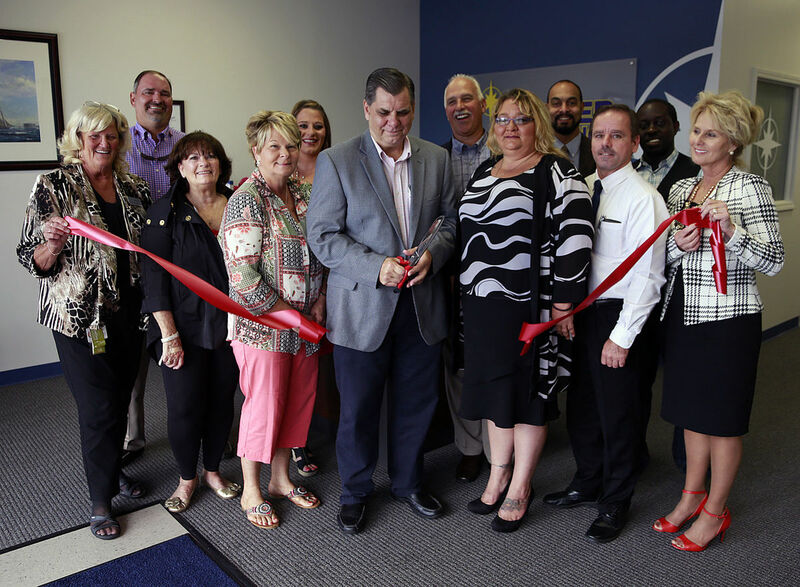 Elvington said having the chamber ambassadors host a ribbon cutting at the Florence branch is “a big deal” for the new location and he hopes that by joining the chamber, Mariner Finance will be able to reach out into the community and bring in more clients. The Florence store is one of 13 Mariner Finance branches in South Carolina and the lone branch in the Pee Dee region. Along with its affiliates, Mariner Finance features more than 450 branches in 22 states throughout the country. For more information about Mariner Finance and their Florence branch, visit marinerfinance.com. DARLINGTON, SC (WMBF) – Darlington Race weekend is officially underway in the Pee Dee. It all kicked off with the annual car hauler parade. The fun fest started at the Florence Civic Center at 4 p.m. with NASCAR hauler autograph opportunities, kids activities and live music. The haulers left from Florence and went toward Darlington. No matter someone’s age the NASCAR hauler parade is the perfect way to get people excited for the Southern 500 weekend. “If you ever come one time, you’ll want to see it again. They plan for this every year. Just like clockwork they always make arrangements for next year it’ll be coming.”said Rod Jones. Families agreed coming together helps keep the history of Darlington Raceway alive. “I’ve been going since 1965, yes, 1965 and I’ve been going back whenever they had it on Labor Day. Oh yeah you talking about a crowd, it was a crowd of people back then. It means a lot to Darlington to have this Southern 500 every year it brings a lot of people to town and they spend a lot of money,” Jones said. 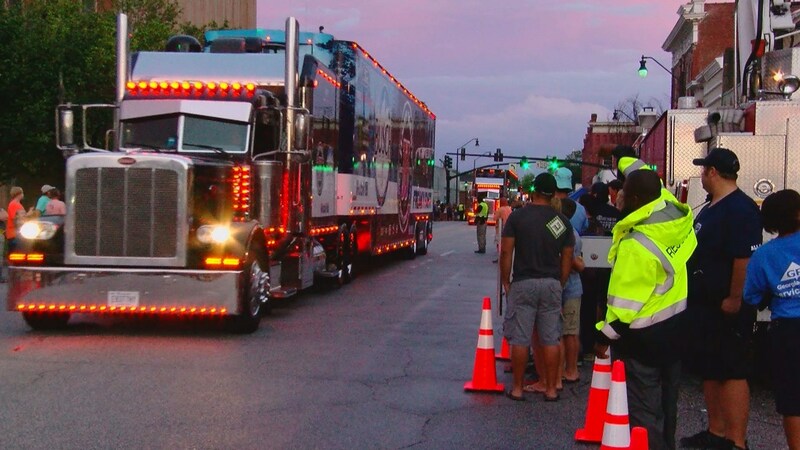 This year’s car hauler parade marks 13 years in a row. What’s the Pee Dee? It’s a question raised a lot by visitors traveling through the state. Simply put, it’s a seven-county region in northeastern South Carolina named for the Native American Pee Dee tribe that once lived there. Known for its natural beauty, the area is a network of lush waterways, state parks and other natural areas. It’s also home to several dynamic small towns, some of which are destinations in and of themselves. Planning a Pee Dee visit? Here are three boutique hotels where you’ll find a warm welcome, pampering appointments and easy accessibility to downtown happenings. Downtown revitalization has breathed new life into Florence, and the addition of this hotel has helped drive the effort. The bustling railroad town, home of the South Carolina Pecan Festival, is the county seat and has long served as the Pee Dee’s hot spot for shopping, dining and entertainment. You can now find all three just steps from this hotel’s front door. If you want an upscale lodging experience along with a Southern welcome, this is your place. Whether you stay for one day or several, chances are you’ll be on a first-name basis with staff members before check-out. Exposed brick hearkens back to the building’s 1920s hardware-store roots. Guest rooms are designed for pure comfort with fine bedding, nightly turndown service and room service. The experience is all luxury, but without the stuffiness prevalent in some metropolitan hotels. Dining: Victor’s is the on-site fine dining restaurant serving breakfast, lunch and dinner daily. The bar is a popular spot for socializing or grabbing a casual bite to eat. Treat yourself to the Bloody Mary bar during Sunday brunch.